I have a couple of ways for finding Tracfone-Promo-Codes. First I have registered my Tracfone Serial number and my email address with Tracfone. 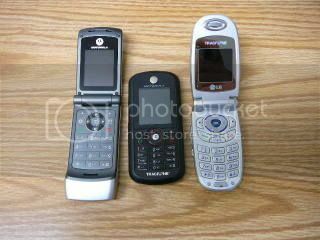 I did this when I joined the Tracfone Insider. The Tracfone insider is a once a month email from Tracfone that often has Tracfone-Promo-Codes in it. I always check Tracfone Bonus Codes, in fact anytime I am putting minutes on my Track Phone I will have this page in front of me on my computer so if one promo code doesn't work I can try the next one. You can add Aitime over a landline. This used to be my preferred way to add Tracfone-Promo-Codes but now to get through the Tracfone Customer Service phone system it just takes too long. I Write down my Tracfone ESN (Serial Number) on the back of a business card with the Tracfone Customer service number (1-800-867-7183) and my Phone's number so I can easily find the numbers without having to fumble through the menu on my Tracfone. With all the newer Digital Tracfones you can add Tracfone Airtime from the Prepaid Menu. Click on Menu, click on Prepaid, Scroll to add airtime and click, On some phones you will add the Promotional code right after the 15 digit PIN number from your card and on some phones it will ask you after you have put in the PIN if you have a bonus code. I have found this to be the best way for me to add airtime. Go to Tracfone.com and click on the add/buy airtime button on the top and Tracfone will walk you through it. Remember to have the Tracfone Bonus Codes page up so you can try different bonus codes if you need to. 44414 free shipping code for website, this should work when you purchase from the website. Buy a phone and use Tracfone-Promo-Codes at Tracfone.com. NET10 Minutes are 10 cents all the time. Net10 and Tracfone are the same company with different Cell phone rates. Get a Motorola phone + 300 minutes for just $49.99 from NET10.com. Save $40!